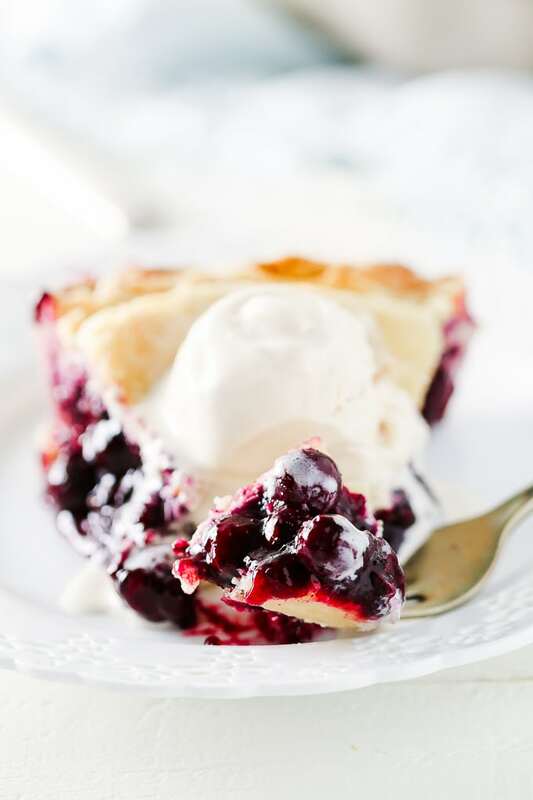 Gluten-Free Blueberry Pie - The Absolute BEST Recipe! 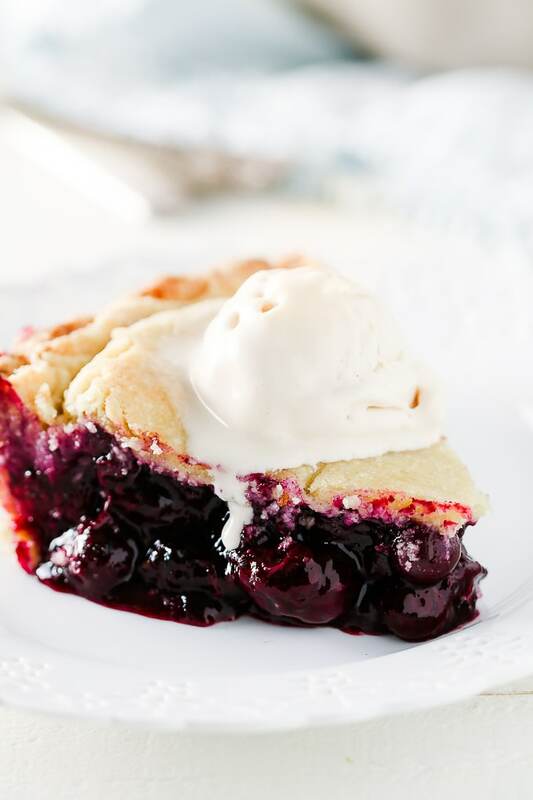 Look no further for the absolute BEST Gluten-free Blueberry Pie recipe. With a foolproof gluten-free pie crust and a thick, rich homemade blueberry filling, this pie is a dessert your whole family will love. I may be wrong, but in the nearly 10 years I’ve been blogging (where did that time go?) I don’t think I’ve ever blogged about Pi Day. …which is kinda odd, because my family (other than me) is made up of a bunch of math nerds. My husband has a mental math ability that’s almost super human and my kids seem to have inherited it. Plus, my dad is known as “Pi”… it’s his “given” grandfather name, based on a nickname he developed — as I understand it — as an engineering student at Auburn University many moons ago. So the idea of celebrating 3.14 each year with “pie” on Pi Day isn’t one that’s lost on me. I guess I’ve just never had a recipe that felt celebration worthy. Honestly, I had my doubts that it would wow me the way Gretchen said it would. But hear me loud and clear. I knew the minute I tasted the first bite of this Gluten-Free Blueberry Pie that the crust was every bit as good as she said it would be. The only problem was that I goofed the filling. I used only fresh blueberries and it was a watery mess on the inside. Back to the drawing board I went, cooking the filling first, but ending up with too few fresh blueberries. If you’re sensing a Goldilocks and The 3 Bears pattern here, you’ll know this last one was the one that was JUST RIGHT. A filling of both cooked blueberries & fresh, all nestled inside Gretchen’s Perfect Grain-Free Pie Crust. Gretchen and I may not be math wizards (or maybe she is and I just don’t know it?) But I can tell you we’re wizards in the test kitchen (read more on her post about that backstory). Her crust + my filling = THE Best Gluten-Free Blueberry Pie. 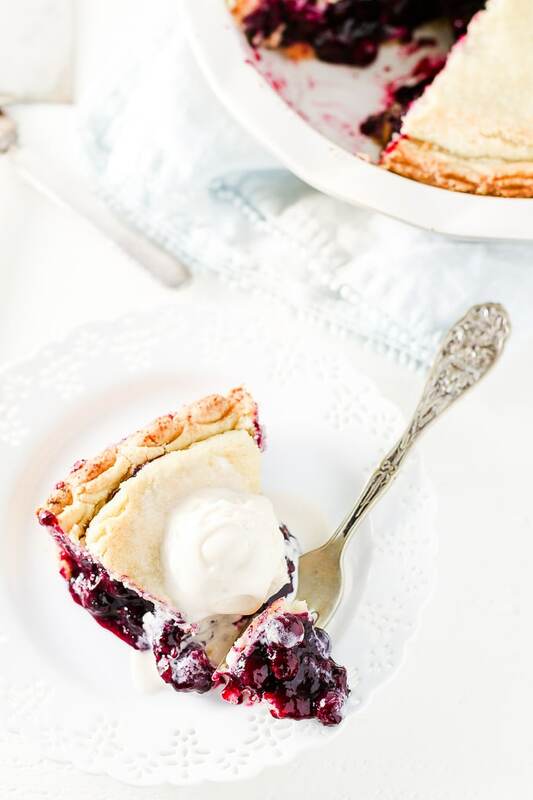 With a foolproof gluten-free pie crust and thick, rich homemade blueberry filling, this Gluten-Free Blueberry Pie is a dessert your whole family will love. Combine 2 pints blueberries, 2/3 cup granulated sweetener* and 1/2 cup water in medium-size saucepan. Bring to boil; reduce heat and simmer 10 minutes. Meanwhile, combine 1/4 cup arrowroot and remaining 1/4 cup water to form a slurry. Gradually stir slurry into filling and cook just until thickened. Stir in remaining pint of blueberries and let cool. Preheat oven to 375 degrees F. Coat a 9-inch pie plate with cooking spray or grease with additional non-hydrogenated shortening. Prepare kumquatblog’s Perfect Grain-Free Pie Crust. Sprinkle a large piece of parchment paper with additional almond flour and arrowroot. Divide pie crust dough in half; place one half of dough on parchment. Top with another large piece of parchment and roll dough into a circle large enough to fit into bottom and up sides of a 9-inch pie plate. Transfer to pie plate by removing top piece of parchment and carefully flipping parchment over into pie plate. 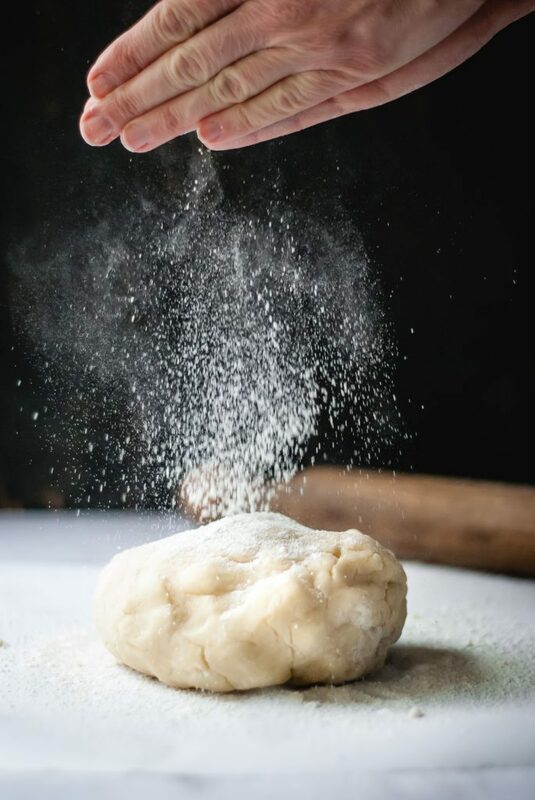 Remove parchment from dough. Spoon cooled blueberry filling into crust. Repeat pie crust procedure with remaining half of dough, transferring and flipping dough over top of filling. Crimp edges of dough around sides of pie plate to seal crust. Brush pie crust with egg. Bake for 30 minutes or until crust is golden and filling is bubbly.